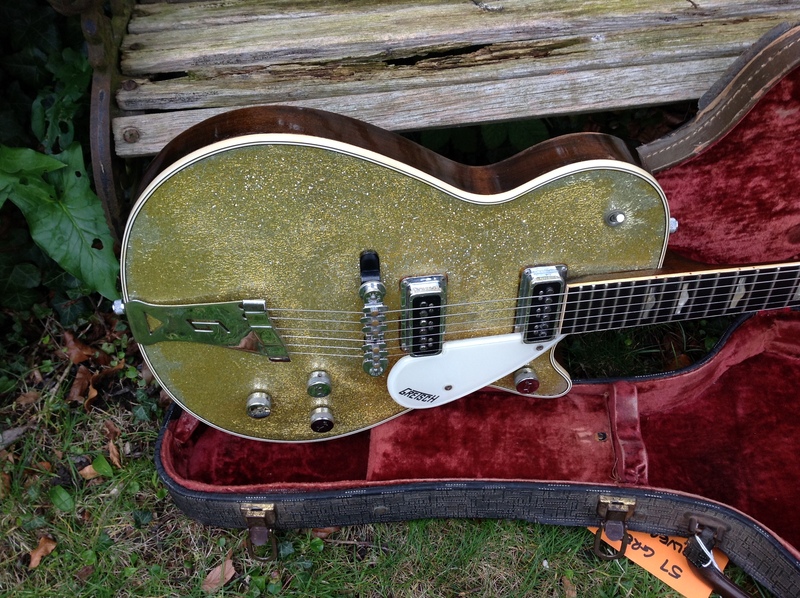 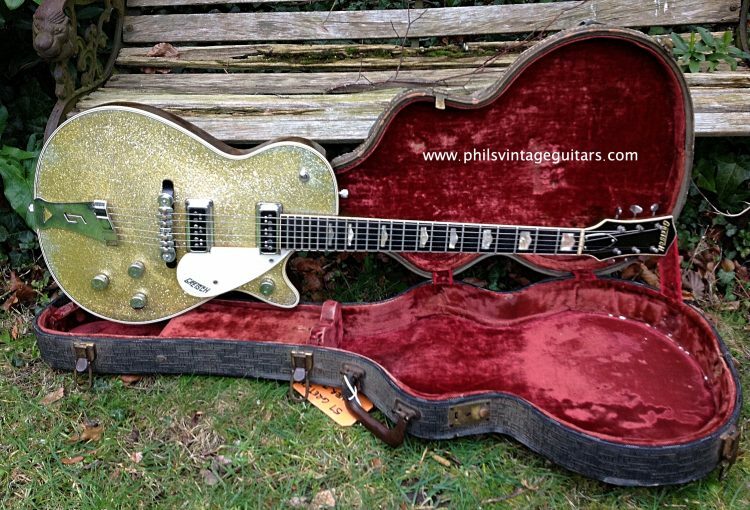 We’re really pleased to have this rare Gretsch Silver jet with us and its a lovely example with the nitro clear coat yellowing over the years giving the guitar a “soda and lime” look that we find irresistible! 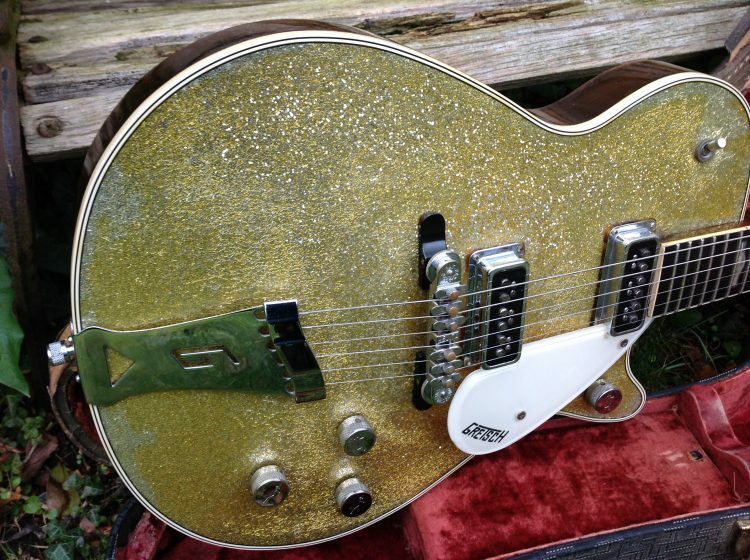 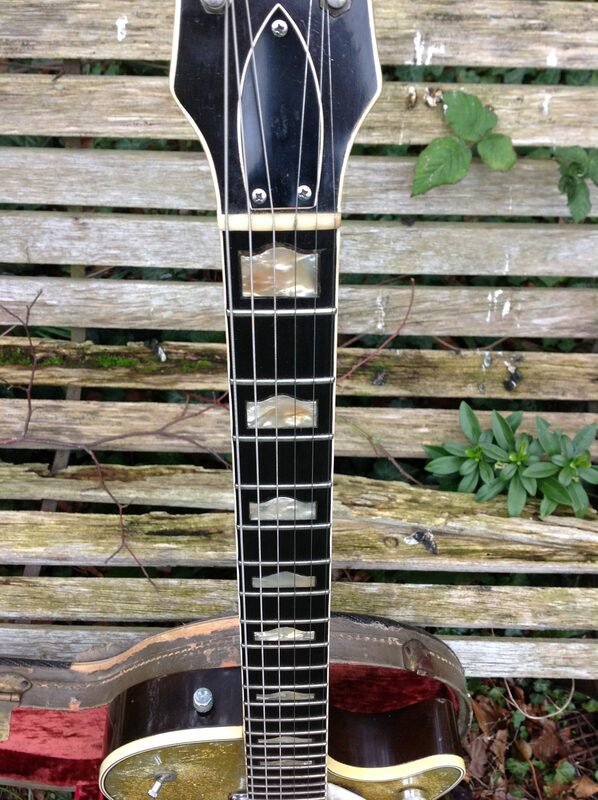 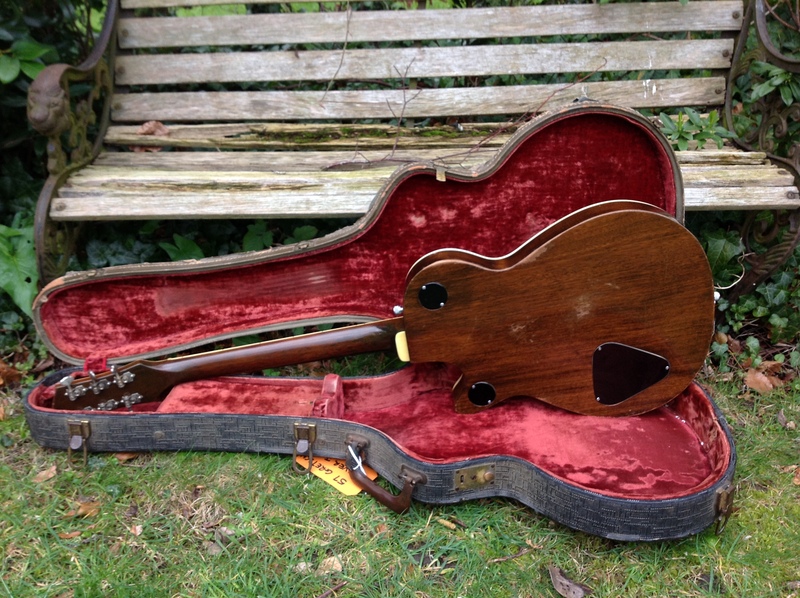 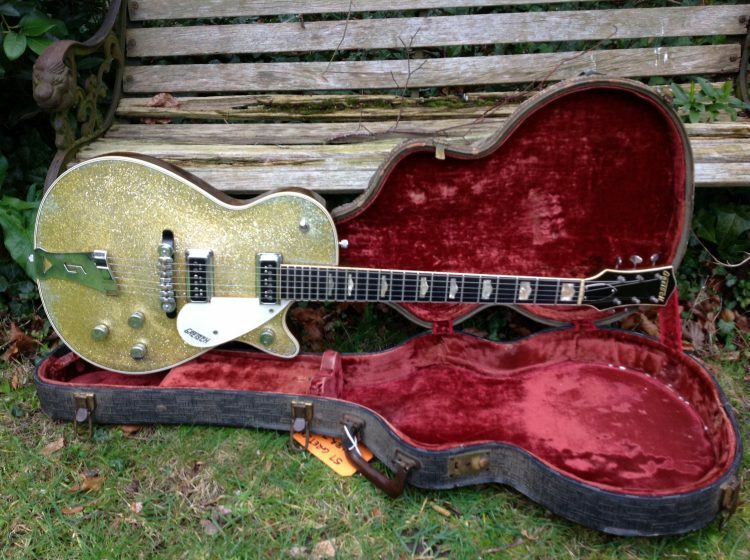 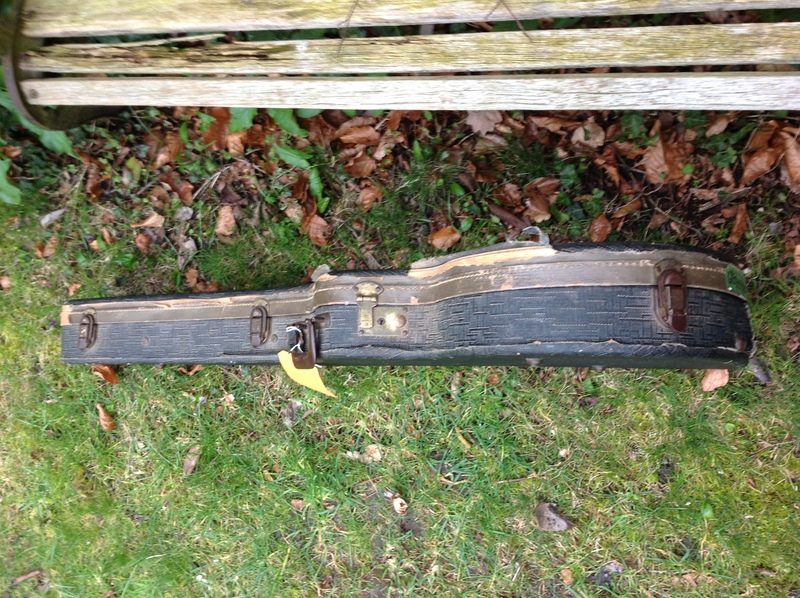 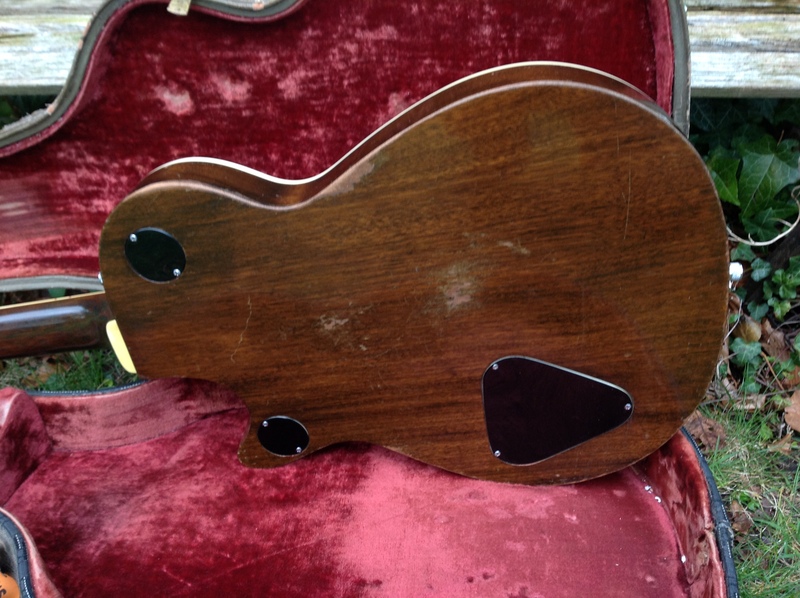 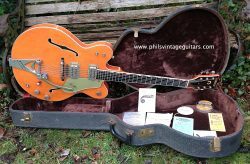 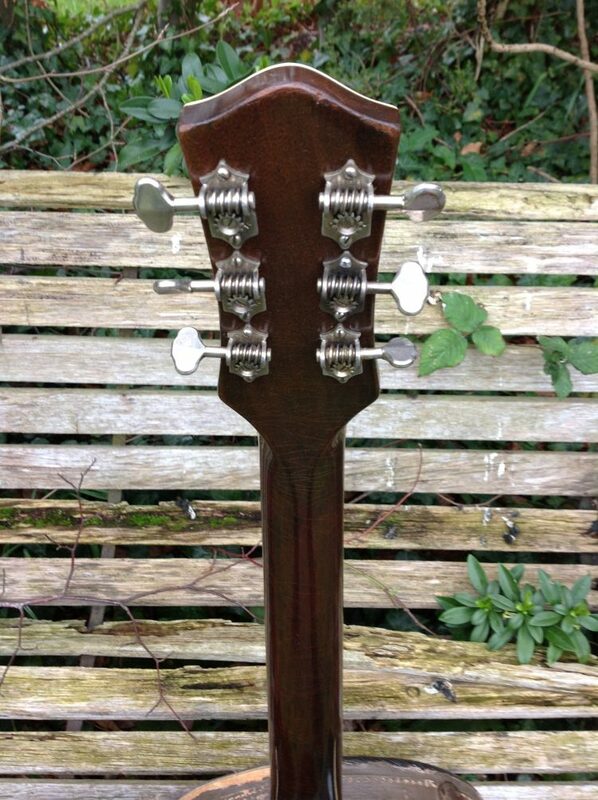 The guitar looks to be an all original example and has not had a Bigsby B3 fitted as most do. 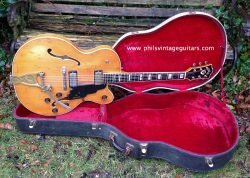 2 stonking tone ridden De’armond Dynosonic pickups, G arrow knobs, Melita bridge and hump block inlays all correct for 1957 and the guitar is fitted with Grover butter bean tuners instead of the usual statite’s which look original to the guitar with slot screws. 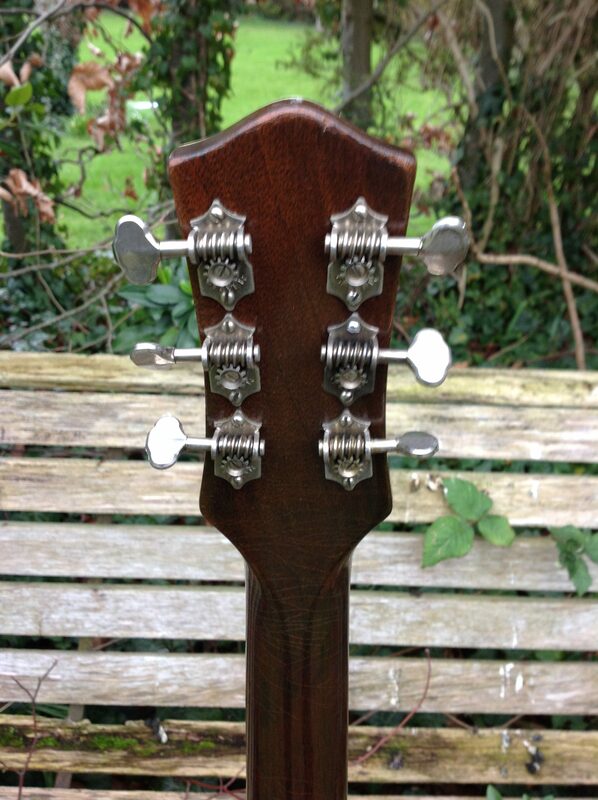 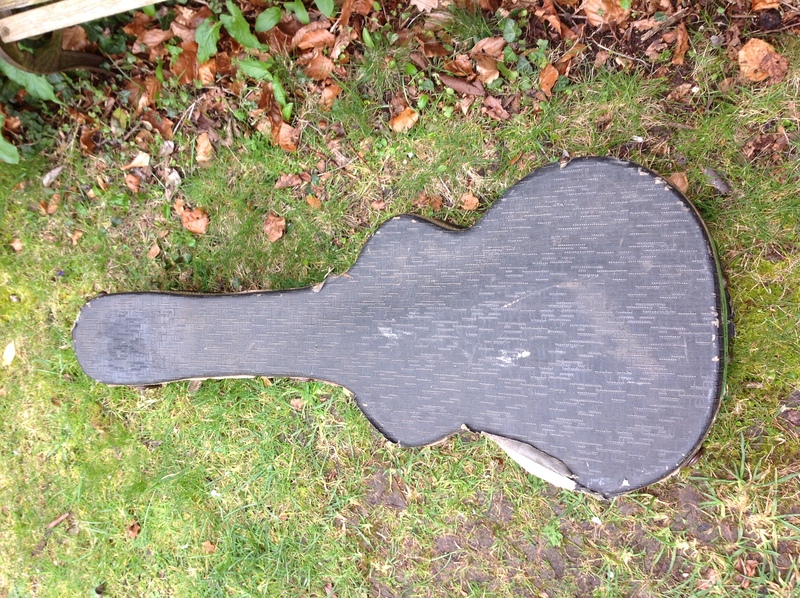 Its been re fretted on its Ebony board and the guitar plays extremely well with a good neck angle. 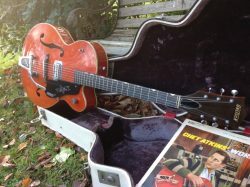 Of course it has that “Great Gretsch Sound” too! 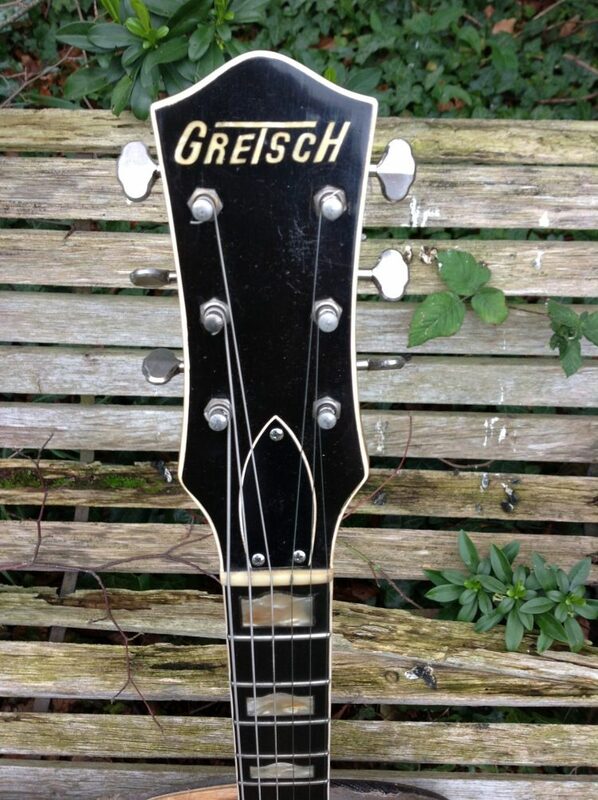 Comes with its original case.